Not to be confused with Patrick Carnes. Patrick James Carney (born April 15, 1980) is an American musician and producer. 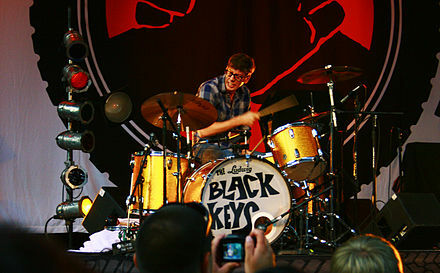 Carney serves as the drummer for The Black Keys, a blues rock band from Akron, Ohio. He is currently based in Nashville, Tennessee. The Black Keys are an American rock band formed in Akron, Ohio, in 2001. 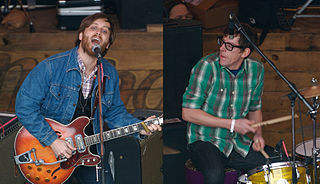 The group consists of Dan Auerbach and Patrick Carney (drums). The duo began as an independent act, recording music in basements and self-producing their records, before they eventually emerged as one of the most popular garage rock artists during a second wave of the genre's revival in the 2010s. The band's raw blues rock sound draws heavily from Auerbach's blues influences, including Junior Kimbrough, Howlin' Wolf, and Robert Johnson. The Akron Beacon Journal is a morning newspaper in Akron, Ohio, United States. Owned by GateHouse Media, it is the sole daily newspaper in Akron and is distributed throughout Northeast Ohio. The paper's coverage focuses on local news. The Beacon Journal has won four Pulitzer Prizes: in 1968, 1971, 1987 and 1994. Ralph Carney was an American singer, composer, and multi-instrumentalist. While his primary instruments were various saxophones and clarinets, Carney also collected and played many instruments, often unusual or obscure ones. Thomas Alan Waits is an American singer, songwriter, musician, composer, and actor. Waits' music is characterized by his distinctive deep, gravelly singing voice and lyrics focusing on the underside of U.S. society. During the 1970s, he worked primarily in jazz, but since the 1980s his music has reflected greater influence from blues, vaudeville, and experimental genres. In 2001 Carney and Auerbach, lead singer and guitarist, formed The Black Keys, releasing their debut album The Big Come Up less than a year later. 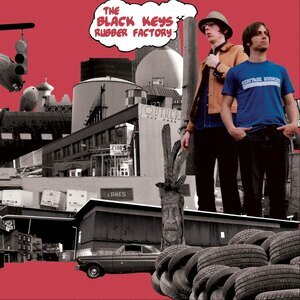 This was followed by Thickfreakness in 2003 and Rubber Factory in 2004. The band's fourth album Magic Potion was released in 2006. Attack & Release , their critically acclaimed fifth album was released in 2008, with a follow up in 2010 titled Brothers . 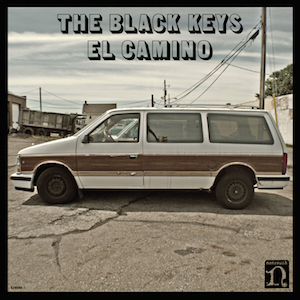 In 2011, the band released the album El Camino . 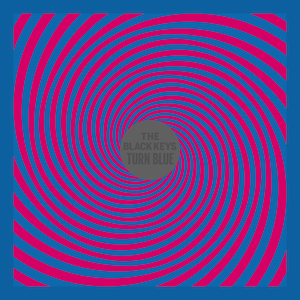 The band's latest album is Turn Blue , released in 2014. They released their first single in five years, "Lo/Hi", on March 7th, 2019. Carney currently produces and writes music out of his Nashville based recording studio, Audio Eagle. He has produced a range of artists from various musical backgrounds including The Black Keys, Michelle Branch, Calvin Johnson  , Tennis, The Sheepdogs, Beaten Awake, Houseguest, Churchbuilder, Jessy Wilson  , and *repeat repeat  . Audio Eagle Studio is a recording studio opened in 2001 by musician Patrick Carney. The studio was located in Akron, Ohio and consisted mostly of a digital 12-track recorder. It went through many incarnations and configurations and was mainly used to record the first four The Black Keys albums. 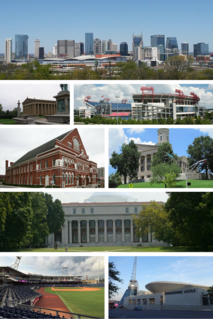 In 2010, the studio was relocated to Nashville, Tennessee. Michelle Jacquet DeSevren Branch is an American singer, songwriter, and actress. During the early 2000s, she released two top-selling albums: The Spirit Room and Hotel Paper. She won a Grammy Award for Best Pop Collaboration with Vocals with Santana for "The Game of Love". Calvin Johnson is an American guitarist, vocalist, songwriter, music producer, and disc jockey born in Olympia, Washington. Known for his uniquely deep and droning singing voice, Johnson was a founding member of the bands Cool Rays, Beat Happening, The Go Team and The Halo Benders. Audio Eagle Studio is a recording studio opened in 2001 by Carney. The studio was located in Akron, Ohio and consisted mostly of a digital 12-track recorder. It went through many incarnations and configurations and was mainly used to record the first four The Black Keys albums. In 2010, the studio was relocated to Nashville, Tennessee. Carney hosts a monthly radio show on Sirius XMU called Serious Boredom with Patrick Carney. SiriusXMU is an indie pop, indie rock, unsigned artist music channel on XM Satellite Radio channel 35. Carney had a segment on HBO's news show, "Vice News Tonight", titled "Patrick Carney's High Standards Music Corner" where he listens to and judges new songs. In 2009, while fellow Black Keys member Dan Auerbach was on his solo tour, Carney formed a new band called Drummer in which he played bass. Each of the band's members had played drums in another band. They released Feel Good Together, their debut album in the same year. Carney is the drummer on The Rentals' 2014 album Lost in Alphaville . Carney also contributed the main title music to the 2014 Netflix show BoJack Horseman . In 2017, Carney contributed music to the soundtrack of BoJack Horseman . Patrick Carney, playing at the House of Blues in New Orleans, LA, on September 21, 2010. In 2010, Carney and his bandmate, Dan Auerbach, moved from Akron, OH, and purchased homes in Nashville, TN. They recorded their El Camino album at Auerbach's newly completed Nashville studio, Easy Eye Sound Studio. Carney married Emily Ward, whom he had met while living in New York City, on September 15, 2012, in the backyard of their Nashville home. The wedding ceremony was officiated by actor Will Forte. Karen Elson, a singer and ex-wife of Jack White of the White Stripes and a Nashville resident who was friends with Carney and Ward, sang at the wedding. The wedding party included Ward's siblings Danielle Shuster and Henry Ward, Carney's brothers Will Carney, Michael Carney, and Barry Stormer, and the couple's Irish wolfhound, Charlotte. Wearing Carolina Herrera, Ward walked down the aisle to Crimson and Clover by Tommy James and the Shondells. Carney and Ward invited 350 guests, including bandmate Dan Auerbach and professional snowboarder Shaun White, who was later arrested and charged with vandalism and public intoxication at a hotel in Nashville after the wedding reception. Carney and Ward divorced in January 2016. Ward, a California native, had moved to Los Angeles by that time. 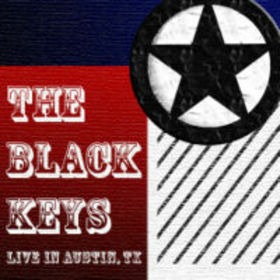 Live In Austin, TX is the first live album by American rock duo The Black Keys. It was published as an electronic for podcast by Austin, Texas based Jumper Productions. This is derived from the 10,000 piece limited Thickfreakness In Austin music DVD-video released by the same company on September 7, 2004. Unlike the edited version available on the DVD, this audio version is full-length. The concert was recorded on October 24, 2003 at Austin's Emo's as part of the Thickfreakness U.S. tour. Near the end of "Them Eyes" a young woman from the audience suddenly climbed on stage and started to dance near the performers. Quickly after the song's ending, guitarist Dan Auerbach switched roles from guitarist to lighthearted bouncer; he asked her off the stage with a quip "Hey girl, you play bass? What's up?". "Hard Row" is a single by American blues-rock duo The Black Keys from their second album Thickfreakness. The song, along with the rest of Thickfreakness, was recorded in drummer Patrick Carney's basement on a 1980 8-track recorder. The lyrics were written by Chuck Auerbach and bandmember Dan Auerbach, and the music composed by both members of the band. 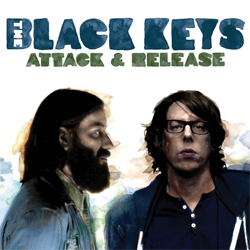 Attack & Release is the fifth studio album by American rock duo The Black Keys. It was produced by Danger Mouse and was released on April 1, 2008. The sessions saw the band transitioning away from their "homemade" ethos to record-making; not only was it the first time that the band completed an album in a professional studio, but it was also the first time they hired an outside producer to work on a record. 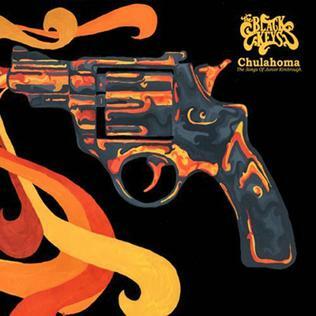 Live at the Crystal Ballroom is a concert video by American rock band The Black Keys. It was released on November 18, 2008 and was produced and directed by Lance Bangs. The concert was filmed on April 4, 2008 at their show in Portland, Oregon at the Crystal Ballroom. 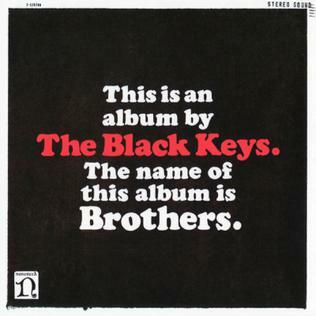 The Black Keys is a split-EP by Ohio band The Black Keys. Released in 2003, it featured "A Blueprint Of Something Never Finished" by The Six Parts Seven and three live tracks from The Black Keys. The live tracks are from a performance at WMBR on 16 May 2003. ↑ "The Rentals Sign to Polyvinyl for First Album in 15 Years". Rolling Stone . Wenner Media LLC. December 5, 2013. Retrieved September 18, 2014. ↑ Grollmus, Denise. "Snapshots from a rock 'n' roll marriage". ↑ "Snapshots of a Rock n' Roll Marriage". Salon. 2011-03-03. Retrieved 2012-05-15. 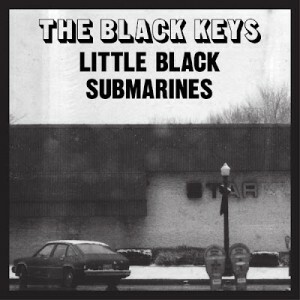 ↑ "Black Keys' Patrick Carney Gets Engaged | Music News". Rolling Stone. 2011-02-15. Retrieved 2011-10-09. ↑ "Black day for Auerbach". news.com.au. News Limited. 2013-02-12. Retrieved 2013-02-12. ↑ "The Black Keys Wedding: Patrick Carney Marries Emily Ward". 20 September 2012. ↑ News, ABC. "Olympian Shaun White Arrested". 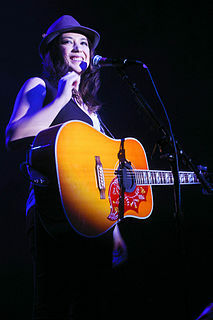 ↑ "Michelle Branch & Patrick Carney Welcome Baby Boy". Billboard. Retrieved 2018-08-31. ↑ "All She Wanted! Michelle Branch and Patrick Carney Welcome Son Rhys James - See His First Photo". PEOPLE.com. Retrieved 2018-08-31. ↑ "Michelle Branch Marries the Black Keys' Patrick Carney in New Orleans". People.com. ↑ "Karen Elson Enlists Father John Misty, Black Keys' Patrick Carney for New Album | Pitchfork". pitchfork.com. Retrieved 2018-11-06. 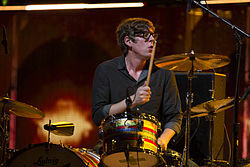 Wikimedia Commons has media related to Patrick Carney .